L.A.W. 's Upcoming Gigs Fri 18 Mar, 16 Tenfour Presents , Biscuit Factory, Edinburgh, United Kingdom Powered by GigaTools L.A.W., L.isa and A.lice W.allace, two sister DJs from Northern Ireland share a long-lived obsession of Techno music which led to the girls joining forces as a DJ and Production Duo. Their dark, unpredictable, heavy, underground techno and electronic sounds, evident in their DJ sets and recent productions reflect the uniqueness of the L.A.W. set up itself. Previous residencies in their hometown, Ibiza, UK and Irish circles paints a picture of the future movement for L.A.W., with past appearances at some of the world’s top clubs under their belts; such as Space Ibiza, Privilege, Sankeys, Warehouse Project’s Afterlife and Stiff Kitten. The girls debut release in 2010; ‘The Sword’ achieved airtime on “BBC Radio 1 Introducing…” show, while their follow up 'AWOL EP' signed to the legendary Angel Alanis' 'Slap Jaxx' Record Label gained support from one of the pioneers in Techno; Dave Clarke through airplay on his legendary 'Whitenoise' Radio Show. L.A.W.’s attendance at the Amsterdam Dance Event last year seen the girls becoming the winners of the Demo Demolition Part XVI, in which a panel of Dave Clarke, DJ Pierre, Laidback Luke, Black Asteroid (Bryan Black), Mauro Picotto, Jim Tremayne and Niels Brands voted L.A.W. remix of Angel Alanis – ‘Tube’ as the winning submission. Since this achievement, the girls are going from strength to strength releasing EP’s on Tom Hades Rhythm Convert(ed), Selected Records and Rebekah’s hugely reputable label; Decoy Records. The Baron; Dave Clarke invited the girls to play live at his 400th White Noise Special Edition this summer and they now host their own monthly techno show on RTE 2FM which kicked off in September. Forthcoming releases on Driving Forces Records and legendary US label; Black Nation Records is setting the soundscape for the next few months for L.A.W. 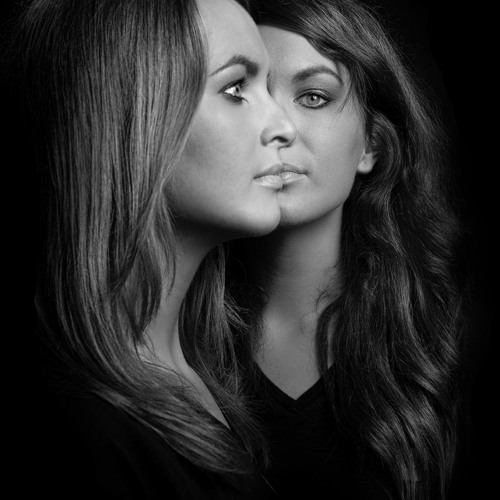 Keep an ear out for these two girls… it’s all about techno.